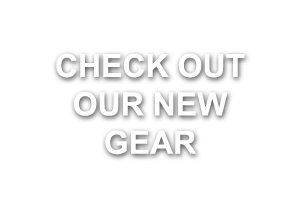 With a growing race team and more new members we’ve had a cracking season to date across many disciplines from road cycling, track cycling, mountain biking, time trialing and triathlon. Starting on the road scene the boys have been mixing it up across the road race and crit scenes with some very consistent top 10 results and a number of podium finishes. Christian Knapton – Christian has had a seriously strong season to date with several wins and podiums on the crit racing circuit. 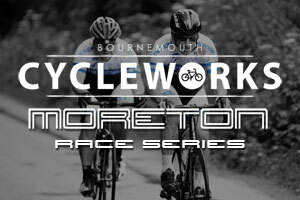 Results include 1st at the Bournemouth Cycleworks Moreton race series; 1st at the Thruxton Behind the Bike Shed race series; 2nd at the Raveena Fat Creations race at Goodwood. And to add such a strong crit season Christian also placed 3rd place at the Gillingham Wheeler Summer road race. 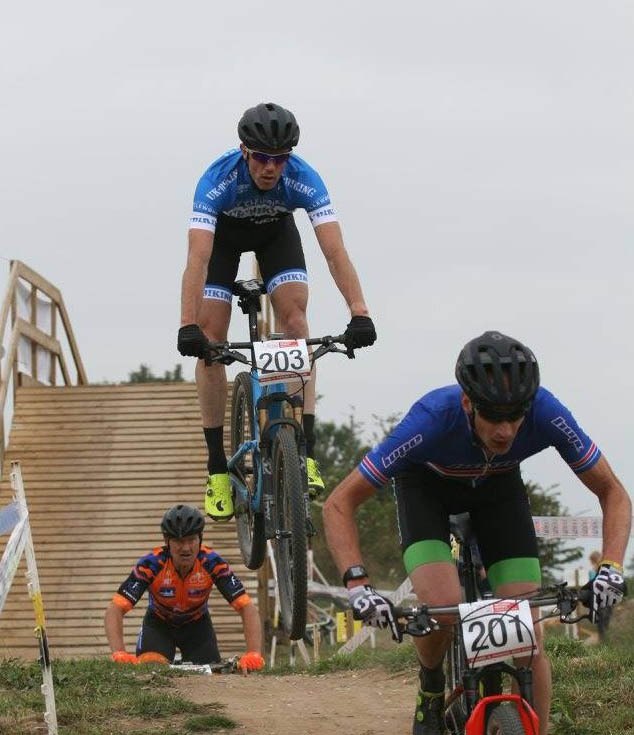 Chris Wilson – Chris has been out most weeks racing the crit circuits in Thruxton, Portsmouth, Goodwood, Winchester and Moreton putting out some really solid performances to finish in the top ten in most of his races including a 4th at the Moreton round 2 race. Bill Hays – Bill has gone from strength to strength since joining team and as a regular in the sprint finish at the Bournemouth Cycleworks Moreton race series has placed a consistent 4th and 5th in two of the rounds. Andy Whiteford – Another improving rider, Andy can also be found in Moreton most weeks but he’s had some strong racing at the Omega Portsmouth Circuit with 4th place finish back in early June. 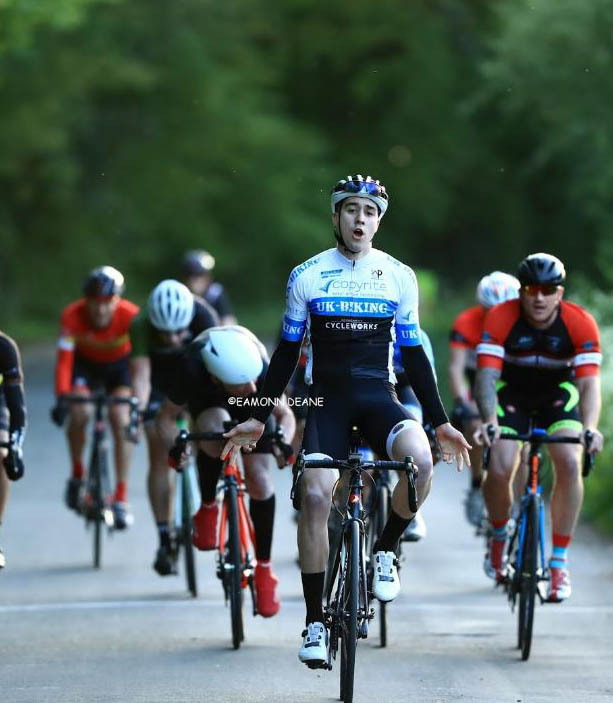 Richard Lang – The man behind the Bournemouth Cycleworks Moreton Race Series somehow always finds time to race it and round 4 saw a brilliant ride from Richard and team mate Bob Ford to keep the scratch group at bay in round 4. It was Rich who had enough left in the tank after some hard riding to take the sprint finish and the win. 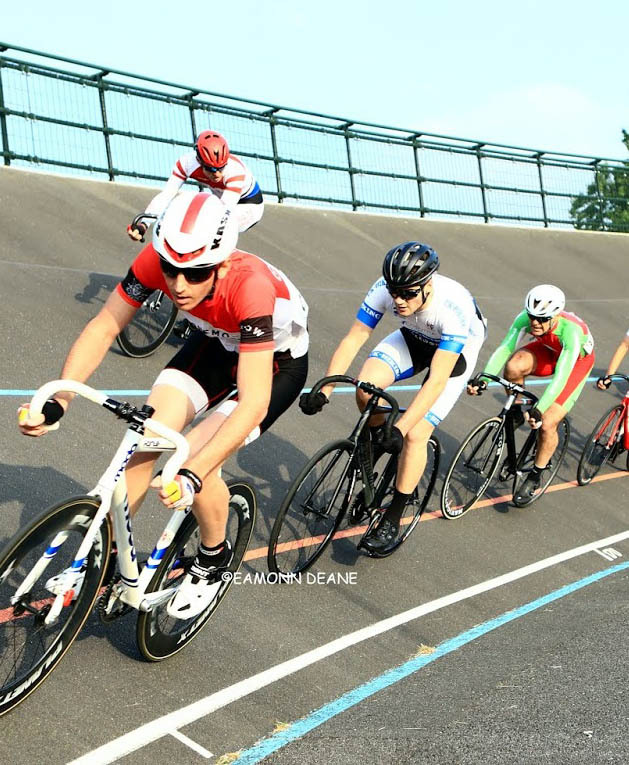 On the track James Meakin has been a regular at the Bournemouth Velodrome Track League races with regular top 3 placings and some wins to put him in a very strong 4th place in the league overall at this stage of the season. Hard work and consistency pays off! George Creasey and Naomi Shinkins have been representing the team on the club and open time trial scene. 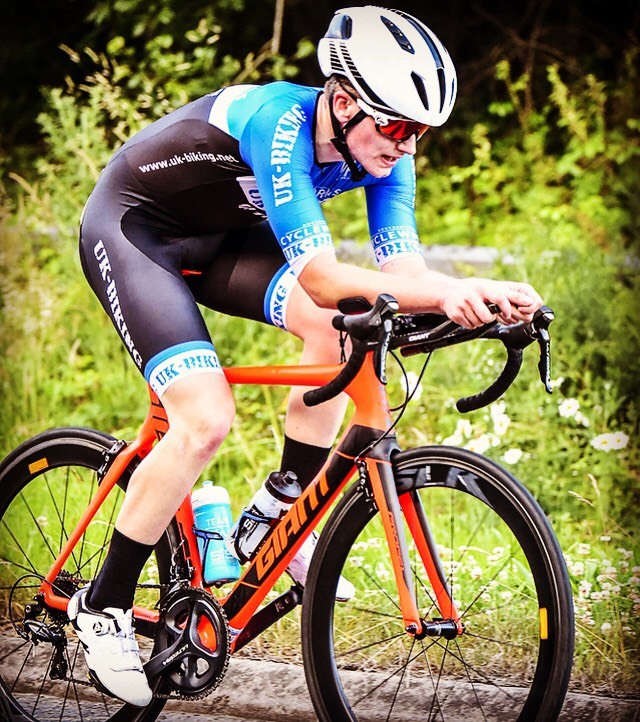 George Creasey – George has been hitting the TT races on his road bike and picked up 2nd in the TRCC Open 10 for road bikes back in March and recently clocked a 57.15 in his first 25. Naomi Shinkins – Naomi has well placed in all her club TTs to date with a few fastest female times and 1st and 3rd in recent open 10 mile and 25 mile TTs. 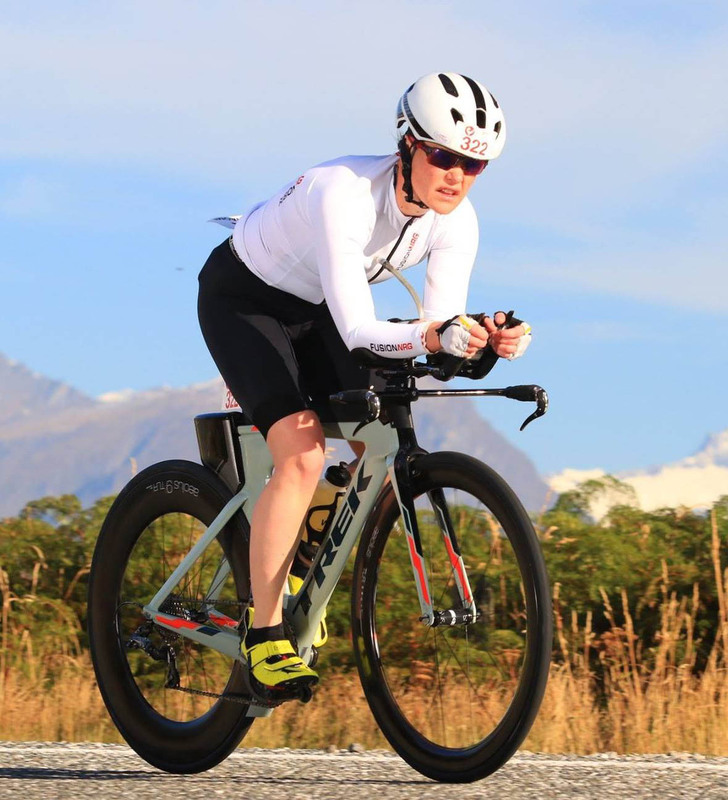 Naomi Shinkins has had a later than usual start to her 2018 tri season but it started in style to take the win in the ladies race and 5th overall at the Tallington Lakes sprint triathlon back in May, the day after she competed in the Tour of Cambridge 16 mile TT. Last but not least our mountain bikers have been cleaning up on the off-road scene for the last few months, not leaving much for any other teams to take home. Sam Humphrey, Dani Humphrey and Tony Revell all sit at the top of the British cycling national rankings for the season so far making the team number one in the UK! Tony Revell – Well it’s not a podium if Tony is not on it and mostly he’s been on the top step this year. With an incredible season so far Tony has an unreal list of results including 1st at the Offcamber 2 hour enduro; two 1st placings at the MSG Eastern CX Regional race series; two 2nd and two 3rd placings in the HSBC National XC race series; four 1st placings in the Southern XC Regional race series and 1st at the Malverns Classic XC bike festival. Sam and Dani Humphrey - The 2018 season kicked off for Sam and Dani at the Off Camber Marathon with a win for Sam and a 3rd for Dani. Then over to the Merida Brass Monkeys 4 hr Enduro at Minley Manor with another win for Sam in the vets class and second for Dani. The National series then kicked off at Sherwood Pines and after a bit of illness, Sam managed to grab a series saving 5th place with Dani ending up 4th in her race. Round 2 at Dalby Forest Sam rode to a strong 4th after holding 3rd all race, Dani hung on for 4th. Round 3 in Scotland, Sam in 4th again and Dani 4th too, consistent at least! Round 4 was near Newmarket where Sam grabbed 3rd with Dani's best so far with a 2nd. The Southern Series has been good for too for the winning pair. Round 1 Sam finished 2nd and Dani 3rd, moving on to round two at crow in the new forest, which was also the regional champs saw Sam grab the win and the champs title with Dani coming in 3rd after a short break from training. And this weekend they’ve placed 1st (Sam) and 3rd (Dani) in the Scott Marathon in Minehead … they just don’t stop! Ross Smith – Ross got off to a cracking start this season with his first race, the Trail X series with 1st place. This was followed by the Kawasaki XC enduro with another 1st place and then it was 5th in the Crow End Southern End XC. Our sister team Weber Creative – Bournemouth Cycleworks have also been having some fantastic results in the road and off- road races. Roland Tilley – Roland has had a great season to date on the road at Sandie Radford placing 1st vet and 18th overall back in March. This was followed with a 6th, 5th , 9th and 8th at the ongoing Bournemouth Cycleworks Moreton Race Series over May and June and tow 3rd placings in the TLI Heath Road Races. Carol Tilley – Carol, regular in the results at the Bournemouth Cycleworks Moreton race series, has also placed 2nd at the Dunsfold LVRC Spring Classic in early May. Roland Tilley – Not only pulling in the placings on the road, Roland has also been killing it off road with 2nd vet (28th overall) at the Scott MTB Marathon in Wales and 3 top ten placings overall at the Southern MTB race series. And he continued his winning form this weekend with 1st grand vet at the Scott MTB Marathon in Minehead. Carol Tilley – Carol has also been doing well at the Southern MTB race series with two 3rd placings over the series and 4th in the grand vet category at the Scott MTB Marathon in Minehead this weekend. 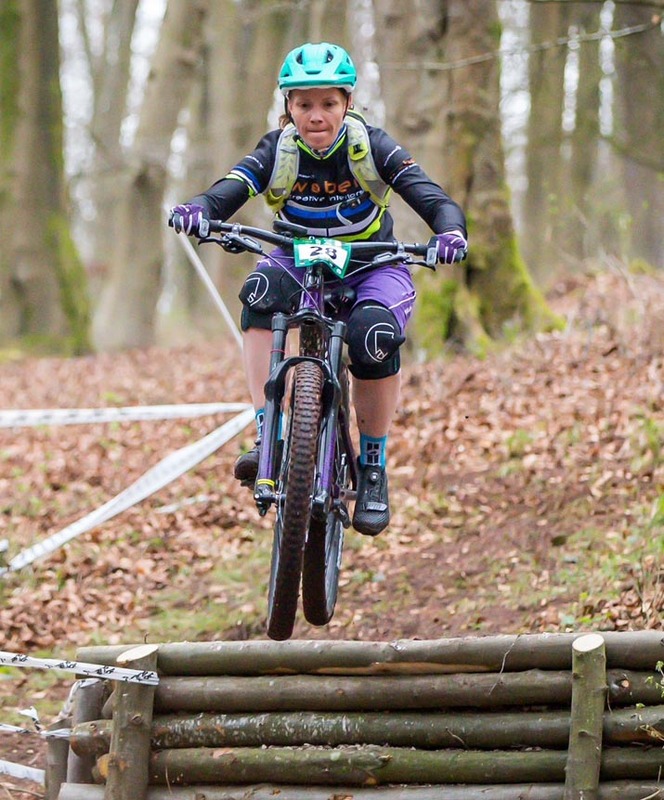 Julia Hamlyn – Julia has been doing a mix of cross country and enduro gravity races in vet and expert categories and has been putting out solid results since January, getting better as the season goes on. Results include 4th and 5th in the Merida Brass Monkey series; 3rd and 1st at the Gorrick Saddle Skedaddle XC series; 2nd and 1st at the pedal Hounds Enduro series; 1st at the Transition Bikes Southern Enduro Series; 1st Gorrick - Scott Gravity Trail Enduro; 1st British Cycling MTB XC; and three 2nd placings at the Southern XC series which means she is currently 2nd female vet in the series. Stephen Moors – Stephen has been placing well at the Merida Brass Monkeys race series with a 4th, 8th and 5th grand vet while also taking on the Scott Marathon full events.